Google analyzes 200+ factors to evaluate your website’s worth. But the look of your designs is not one of them, I’m afraid. No matter how far the engine has come in artificial intelligence, it still can’t perceive the info visually just like humans do. What can prove your project’s worth to Google is how many people link back to it. So, you need to understand how to build backlinks to your designs. According to this large-scale SEO study, backlinks correlate with rankings more than anything else – keywords (! ), page age, loading time, content length, etc. It all feels like the electoral process. The more votes, aka backlinks, you get, the better your outcomes are. The question is how to get a well-linked site without employing dirty tactics like link buying. As a fierce opponent of any link manipulations, Google will happily push you out of organic search if it finds out you pay for backlinks. It’s not easy to recover from such a penalty. So, you’d better grow your backlink profile using risk-free tactics listed below. There’s only one reason why people may be willing to link back to your content, without receiving any bonuses from you. It provides real value for them, either proves their words or adds extra details on the topic. There’s no way an author can stuff all the possible info into a single post, right? Note that values differ in different industries. While market research is valuable mostly for the audience in business and marketing, it isn’t the primary interest in design. Let’s find out what kind of content earns many backlinks in creative fields. 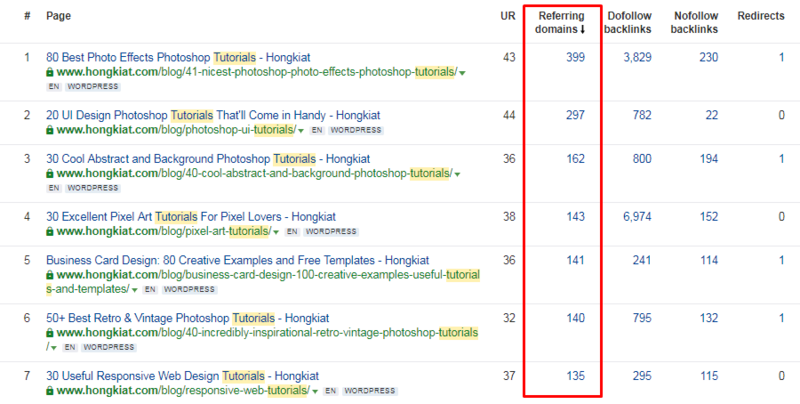 For this, I’ve researched 2.8K+ posts that have backlinks from at least ten unique domains on a popular design site. Here’s what I’ve found out. The web is the main source of info in the digital age. Things are much easier today when you can watch a video tutorial in 10-15 minutes or explore a well-illustrated guide to learn new design techniques. 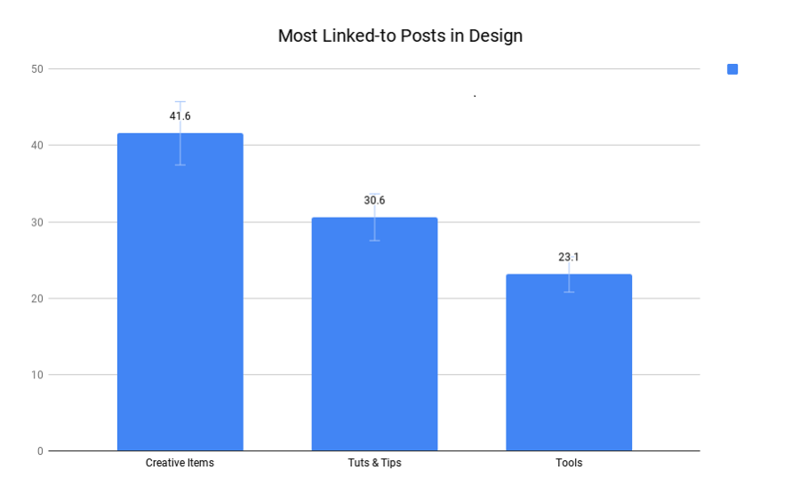 That’s why 872 or 30.6% of the most linked-to posts include guidelines, tips, and tricks. It can be both a single how-to guide and a compilation of multiple tuts. There’s hardly anything you can do without having a good piece of software at hand. Today, you can find tools for literally any purpose you have in mind – create infographics, edit videos, build visually appealing tables, play with colors, anything. It explains why 659 or 23.1% of the most linked-to pages feature tools of different types – mobile apps, plugins, frameworks, scripts, etc. I can’t speak for everyone, but I personally hate paying for every item I need, be it a tool or, say, a pic to use as a featured image in my next post. The good thing is many items are available for free, either entirely or partially (a free plan or at least a trial). Already got my point? That’s right, many linked-to posts include freebies. Design is a visual field by nature. No wonder 1184 or 41.6% of well-linked posts are showcases of creative pages, templates, ads, wallpapers, collages, icons, fonts, infographics, etc. Speaking about infographics, most likely you’ll find this type of content quite easy to produce with the skills you have. But note that a link-worthy infographic isn’t about an attractive image only. The ‘info-” part is there for a reason. To make it work, you must visualize a valuable piece of information. While industry influencers often turn up their noses, they do enjoy watching all the buzz around their personas. To approach them, show a genuine interest in their projects and tell how honored you’d be to interview them for your blog. The chances are they will agree and link to the interview or at least share it on social media who may also want to link to it. Besides publishing a standalone interview with each influencer, you can also create a roundup of tips from, say, 50 influential designers. With so many expert opinions, such an article will have a sky-high level of authority to link to. Unless you are a big shark in design, you should take every opportunity that comes your way. If some bloggers ask you for a word of advice or an entire interview, don’t ignore them. First off, you’ll get backlinks from the blog you’ll be featured on and hopefully its subscribers or random visitors. Next, you’ll promote your designs to new audiences. If you take the job responsibly and share the info that hasn’t been shared like a hundred times before, you’ll improve your reputation in the competitive landscape. Who would mind having a backlink from an authoritative resource like The New York Times? But it’s a challenge to get featured there until you get into a big scandal when the last thing you care about is how to build backlinks. Newsjacking is a more pleasant way to earn backlinks from online newspapers and magazines. Long story short, this tactic requires getting your business mixed with hot news. When some event hits the headlines, journalists will write about it until they squeeze every last bit of the story. If you comment on it on your blog, they may notice it and therefore will refer to your opinion piece in their articles. Make sure you write a well-reasoned post only. You’re trying to play in the big league, and some trivial stuff written in a hurry won’t work there. Time for some good and probably surprising news. There may already exist dozens of backlink opportunities without you knowing. That’s because some writers have a nasty habit of mentioning businesses and their products without linking back to their official sites. Send them a “thank you” message and ask about a possibility to link to your biz. If they mentioned you or one of your items, most likely they like your work, so positive replies are expected here. Being a designer, you may find your copyrighted visuals across the web. As you’ve never given them the go-ahead, you have the full right to demand that they delete your designs. But there’s also a smarter way to go. Reach out to website admins, let them know about the infringement, and ask them to attribute to your site with a link. Nothing lasts forever in design just like in any other niche. Domains of design agencies that couldn’t make it get expired and pages with outdated content go to trash. If a site links to a non-existent page or domain, it has a broken link issue, which is no good for search engine indexing. Find relevant sites with broken link issues and a high DR (domain rating) and offer their admins your active link as a replacement. They’ll get a fix, and you’ll get a backlink. Everyone wins. For example, the blog mentioned above has 2,3K+ pages with broken links. Your portfolio may have similar designs to replace them. Since you are a designer rather than a writer, you may not have time for regular guest posting. That’s when the practice of content syndication can help. Instead of writing new articles from scratch, republish your live articles on such platforms as Medium, Business 2 Community, Growth.org, etc. Don’t forget to link to your original page as attribution. While this is an old-school strategy on how to build backlinks, it’s still effective today. If you’ve just come up with a brilliant idea to write tons of 300-500 word guest posts, forget about it. Guest posting requires time and work. Not only do most editors set a word count of 1000+, but also evaluate the quality of write-ups submitted. Do you wonder how to understand which blogs are worth your time? This checklist will help you. Domain Rating. The higher DR a guest blog has, the more link juice it will pass to you. Date of Guest Post Invitation. Sites that posted a notification about accepting guest contributions in 2010 may not accept them anymore. Existing Backlinks to Your Site. Focus on domains that haven’t linked to you yet. As mentioned above, ten backlinks from the same site aren’t as powerful as ten backlinks from ten different sites. Using search operators is probably the easiest way to search for guest post opportunities. Watch a video with more advanced tips and tricks. Text is not the only format to convey your message. Some people from your target audience may prefer to look through a presentation, while others may want to put on their headphones and listen to your speech on the road. If you share a design tutorial, a video may be a better option, at least for such YouTube geeks like me. Try to repurpose your content to get backlinks from people with different preferences. Be careful at this stage. Due to submissions to low-quality directories, you’ll end up with a spammy backlink profile. 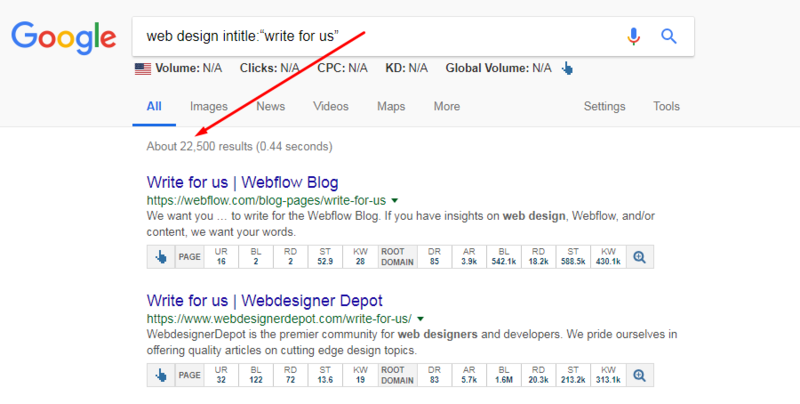 This is not something that could improve your website’s authority in the eyes of Google. Check out a few factors that determine the quality of directories. Acceptance Standards. There must be a human who verifies every submission. Quality of Other Submissions. Avoid directories that welcome crappy sites. Directory Age. Make sure your target directory didn’t show up yesterday, as it may shut down tomorrow. Backlink Profile. Don’t submit your business to directories with tons of spammy backlinks. question and answer sites like Quora. Note that your link must come with meaningful text, not just “awesome post, check another one.” Try to sound provocative to make more people stand by and start up a conversation under your comment or thread. That way, you’ll build relations with the target audience in your niche and backlinks along the way. Contributing to some charity project can be rewarding. Charities usually feature their sponsors on the front page and link back to their sites. 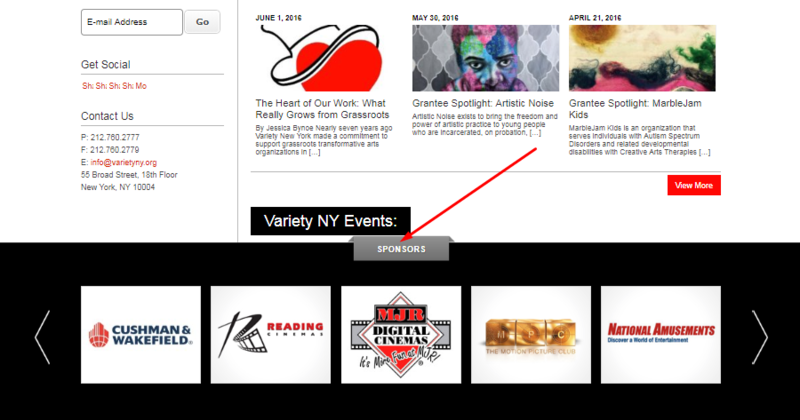 For example, a well-known children’s charity of New York discloses its sponsors above the footer. Technically, backlinks you get for something from your side are paid. But in this particular case, there’s little to no risk. You are doing good, and links on charities’ sites are out of your jurisdiction. You don’t force anyone to link back to you – they do it voluntarily. While Google is still blind to your talent, you can prove it with backlinks. With these tactics, link building will result in much more than just better SEO. Besides growing your backlink profile, you’ll grow your exposure and show yourself a brainy designer in your field. Also, learn how to build backlinks from your competitors so that you could try to outperform them. You can create a post that proves them wrong or is ten times better and spread the word about it through outreach campaigns. Are there any other tactics that helped you draw a bunch of quality backlinks? Drop a comment in the section below, please. Nick Campbell is a content marketer and outreach manager at Ahrefs. He is passionate about technology, SEO, and blogging trends. When Nick is not researching a new topic, he’s at some tech event.